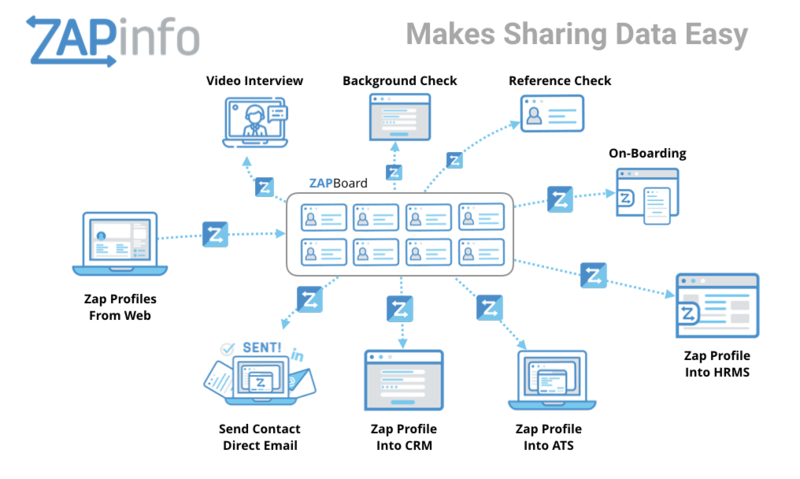 ZAPinfo saves recruiters hours per day by automating nearly every part of the recruiting process and works perfectly with SmartRecruiters. 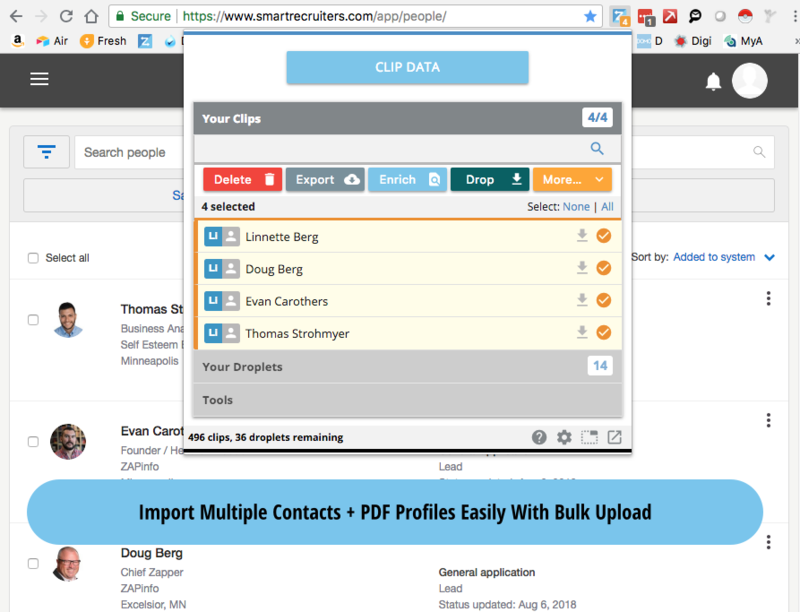 ZAP contacts and resumes out of nearly any job board, social network or search engine into SmartRecruiters, finding direct contact information (email, phone, social profiles), to get better and faster response, and make sharing info with your other web applications as easy as a few clicks. 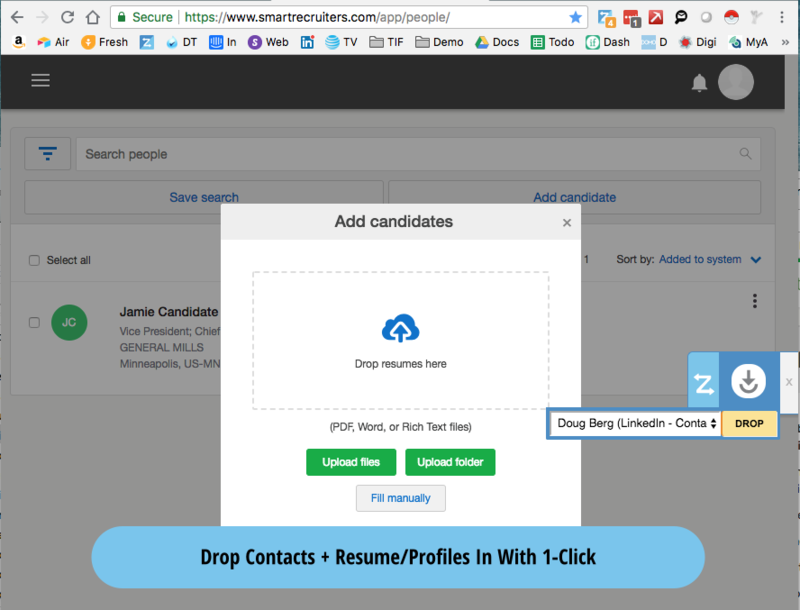 Move data in and out of SmartRecruiters to job boards, HRIS, payroll, background check systems, etc. 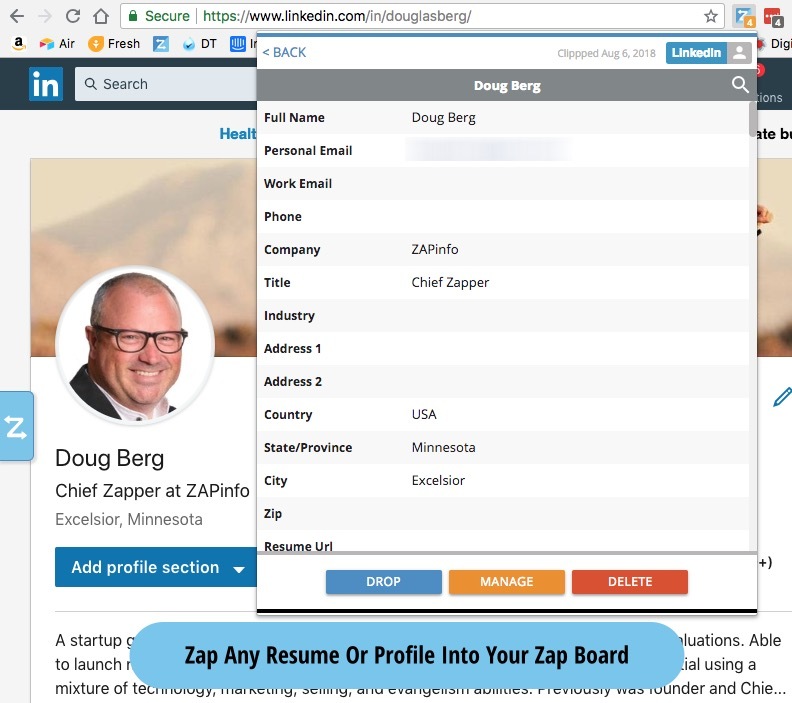 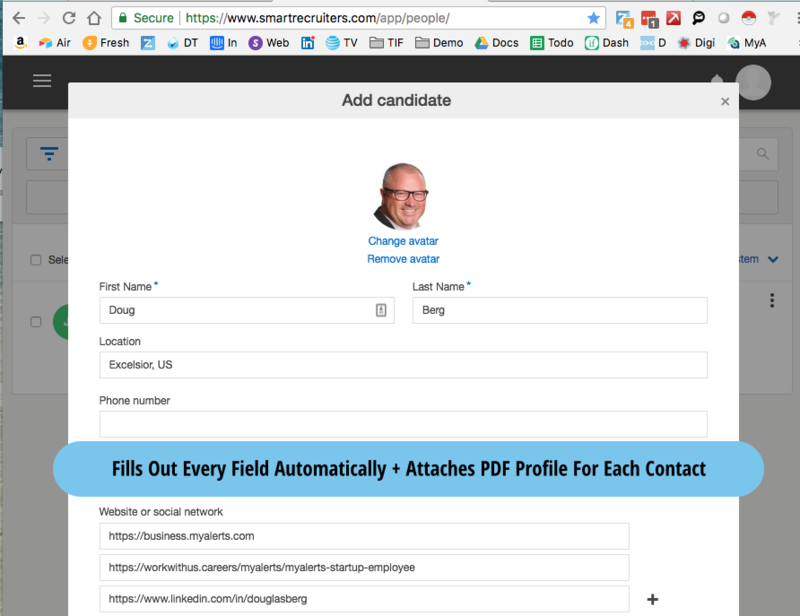 ZAPInfo will feed your SmartRecruiters site with resumes & profiles, and make posting jobs easier than ever online!